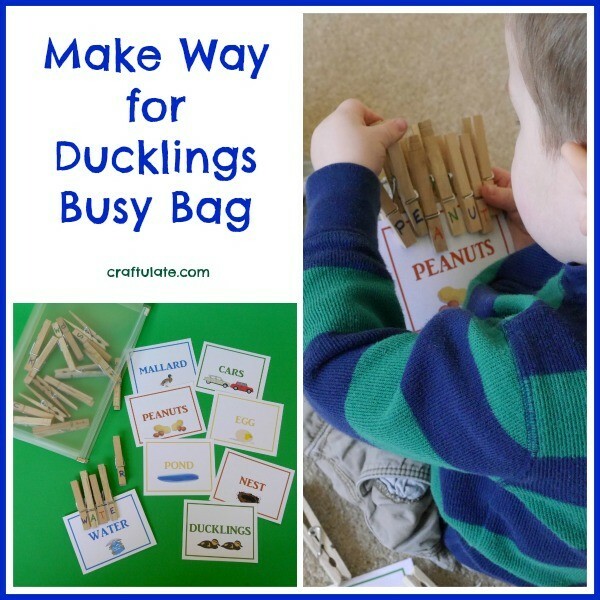 This busy bag is a fun way to highlight some of the key words from the book Make Way for Ducklings. Welcome to another Book Club Play Date! This month we’ve been looking at the book Make Way for Ducklings, by Robert McCloskey. This cute book was actually first published in 1941, and features Mr and Mrs Mallard and their search for the perfect home. We are currently working on developing my son’s reading skills right now, so I put together this busy bag for him that focused on eight of the key words from the book. A (x 2), C (x 1), D (x 1), E (x 1), G (x 2), I (x 1), K (x 1), L (x 2), M (x 1), N (x 1), O (x 1), P (x 1), R (x 1), S (x 1), T (x 1), U (x 1), W (x 1). Some letters are featured twice in the same word, so you’ll need two clothespins marked with that letter (shown above as “x 2”). 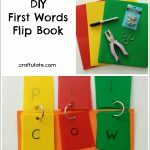 Place all the cards and clothespins into the bag and give it to your child. Depending on age and ability they may need a demonstration. When I gave this to F, he immediately picked out the “cars” card, and we started finding the letters together. After we had completed that card, he chose the peanuts one – even though he didn’t recognise the word. So I broke down the word for him and then he found the correct letters. 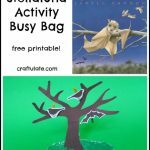 This was such an interesting activity and could be easily customised to your child’s ability. If you want to use the cards that we did, don’t forget to grab your free download from the Craftulate shop! And if you’d like more crafts and activities to go along with Make Way for Ducklings then check out what my co-hosts have been up to! This activity is also featured in the 75th Anniversary Celebrations of this book! Here are even more ideas to go with this classic book! I’ve got one learning to read — this is a perfect activity! Thanks for including the printable cards. 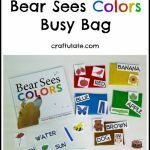 A great idea for a busy bag. I just found your website and I’m so excited to get started on all your wonderful ideas, thank you!